The PT Supremacy Advanced Personal Trainer Diploma Certification is Delivered Through Blended Learning, Combining Home Study that Utilizes our award Winning E-Learning Software followed by 2 Weeks of Practical Coaching & Assessment at our World Class Training Campus in Southern Spain. PT Supremacy is committed to producing the very best personal trainers in the fitness industry. Our goal is to deliver South African personal training courses that goes above and beyond the certificate 3 and certificate 4 fitness education industry norm. Unlike other South Africa fitness instructor certification providers that mass produce fitness trainers on a production line, we only enrol small groups of students into our courses to ensure you receive the highest level of coaching and support. You will also be offered a chance to train members of the public at our training campus under the guidance of an PT Supremacy tutor so you can gain real life experience and confidence. During your time with PT Supremacy, the amount of support and coaching you’ll receive will be unrivalled by any other South African personal training certification. 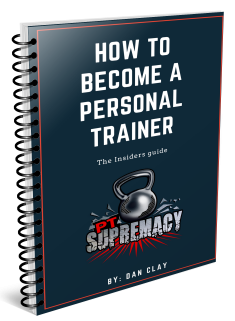 Your PT Supremacy tutor will be with you every step of the way to coach you and answer any questions you have whilst on your journey to becoming a first class personal trainer in South Africa. Applying the skills and knowledge you have learnt during your time at PT Supremacy, you’ll have the confidence and experience to begin training clients immediately after you graduate. Check out our testimonials and see what past students have to say about their time with PT Supremacy. Our training facility provides the perfect learning environment. Unlike most other South African campuses that pack you into small overcrowded dorms, PT Supremacy offer you your own room conveniently located in the same building as the training facility and classroom. In certain parts of South Africa the weather can be unpredictable. Our training campus is based in the coastal town of Denia – Southern Spain. So you’ll be able to hone your outdoor fitness skills on Spain’s famous Mediterranean beaches. If you want to be a successful South African personal trainer then you need to learn from successful mentors that are ‘in the field’, training clients and running successful fitness businesses. Not from a school teacher in a classroom reading from a book that has no real life experience. 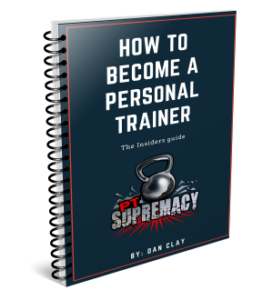 You can be safe in the knowledge that the information taught at PT Supremacy is the latest and most cutting edge in the fitness industry and has been used by us, training thousands of personal training clients. Unfortunately most South Africa personal trainer certification providers do not offer streetsmart business skills when completing your cert 2 and 3 South Africa fitness instructor qualification. Upon graduating at PT Supremacy you’ll be automatically enrolled into our PT Business Supremacy course where you’ll be taught our business systems and marketing funnels that have been tried and tested in the ‘real world’ successfully! Follow Your Passion and Do Something You Love, Check out our South African Personal Training Courses and Become a Certified Personal Trainer TODAY!